Sleep is unquestionably one of the most beneficial things that you as an individual can do for your body. It provides both you’re the physical tissue of your body, and your mind, with the time it needs to recover from daily stress, thus ensuring that it stays healthy and well-functioning. On the other hand, chronic sleep disruption and associated declines in sleep quality have been shown to contribute to declines in both cardiovascular and metabolic health, cause cognitive dysfunction, and even promote the development of mental illness. With this in mind, optimizing your sleep is integral to your health and your happiness. But often getting good quality sleep is easier said than done. Between the busy stress-filled lives that we live on a daily basis, and the constant exposure to bright lights and electronic screens, sleep doesn’t always come easy. Which is why finding when you find something that can truly enhance sleep quality, it is such a game changer – and this is exactly where eye masks enter the discussion. 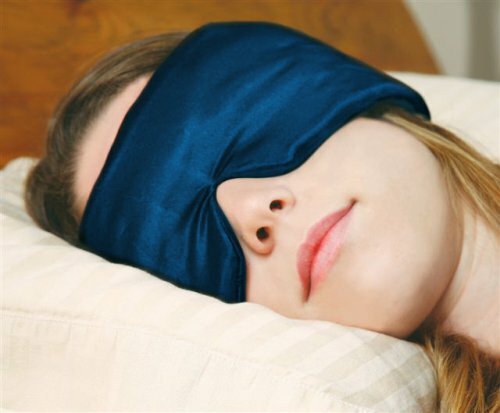 What are the Benefits of Eye Masks for Sleeping? 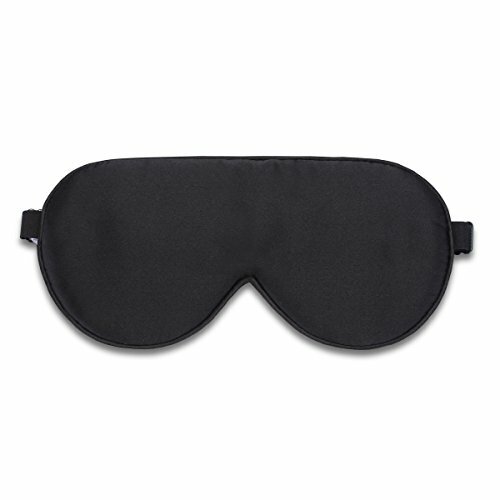 As you can imagine, it seems quite likely that eye masks can provide some unique sleep related benefits. With this in mind, we took a good look at the research to determine those aspects of sleep they have the biggest impact. Let’s start with the most obvious (and arguably beneficial) thing first. As previously mentioned, eye masks have the ability to block light from entering the eye. Light has been shown to stimulate the brain in such a way that actually increases sensation of alertness, thus increasing wakefulness, while also making it more challenging to fall asleep. With this in mind, those individuals who use eye masks on a regular basis have been shown to fall asleep faster than those individuals who don’t use the masks . This also appears to come with significant improvements in global sleep quality, suggesting that eye masks also have the ability to promote a deeper, and less restful sleep, throughout the night’s duration . 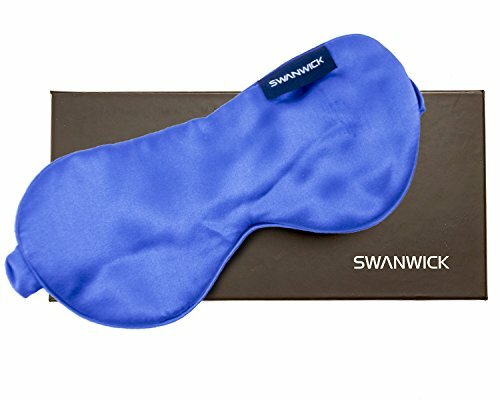 In conjunction with their positive impact on sleep directly, the application of eye masks have also been shown to positively affect hormone secretion within the body. 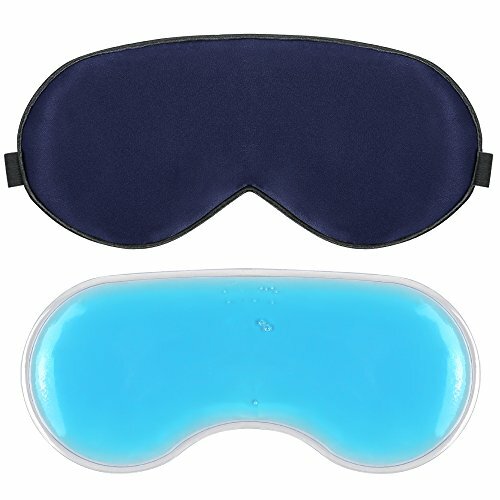 More specifically, the use of eye masks have been shown to reduce the secretion of the hormone Cortisol, while increasing secretion of the hormone Melatonin [3, 4]. Melatonin is a hormone that promotes relaxation. In normal scenarios, it is secreted at night time to prepare the body for sleep. As a result, by assisting in the regulation of this amazing hormone, eye masks appear to have the ability to cause sustained improvements in sleep patterns and sleep quality – even if you happen to forget to wear the mask for a night or two! Alternatively, cortisol is commonly known as the stress hormone. With this in mind, its increased secretion has shown associations with increase inflammation, declines in sleep quality, and global reductions in heath. Through this interaction, it appears that eye masks may also have the potential to reduce harmful inflammation, therefore causing global improvements in health as a result. 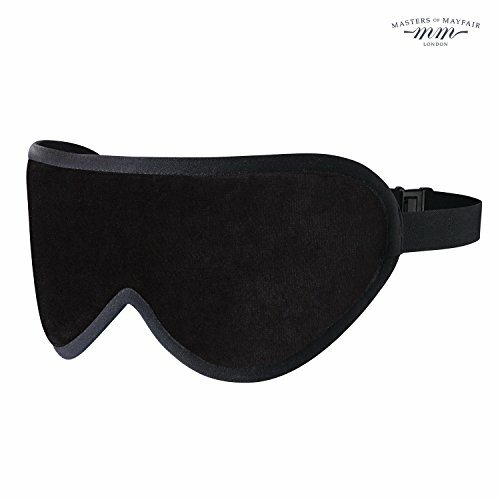 What to Look For In An Eye Mask? First and foremost, their ability to actually block light from entering your eye is paramount. 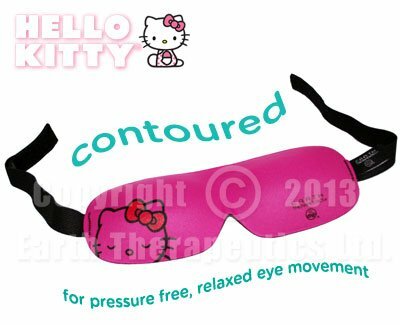 Most eye masks will advertise to block out light with 100% effectiveness, however this isn’t always the case. 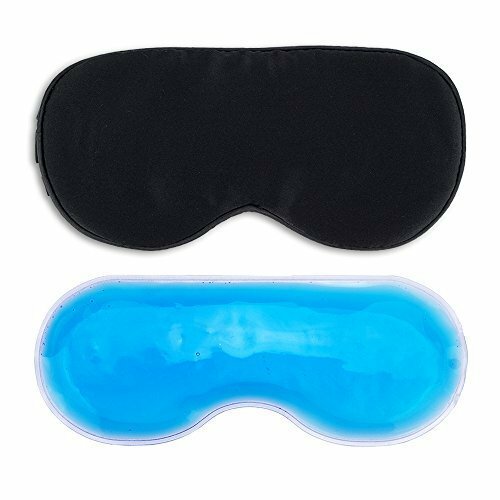 As a result, it is absolutely essential that you look for an eye mask that has a dense outer layer made with thick fabric – this is a sure-fire way to ensure that it does indeed completely stop any light from entering your eye. Additionally, you also want to make sure that your mask is comfortable. It doesn’t matter how well a given mask blocks light if it is severely uncomfortable – because this lack of comfort will actually inhibit your ability to fall asleep (a rather obvious point, I know). Taking this into consideration, both the fabric that the mask is made of, and the way it fits is terribly important. Masks made of silk, felt, cotton, and polyester, and widely regarded as being the most comfortable, while also exhibiting the ability to block out light effectively. Regarding fit, you want to make sure that the mask is large enough to completely cover your eyes and the skin surrounding them. Finally, you want to make sure that the design of mask suits your sleeping style. Some masks are designed strictly for individuals who sleep on their back, in which they will then become uncomfortable during side sleeping. With this in mind, the opposite is also true – so try and find one that suits your sleeping style! If you do find a mask that happens to ticks all of these boxes, and you are well on your way to a better night’s sleep. 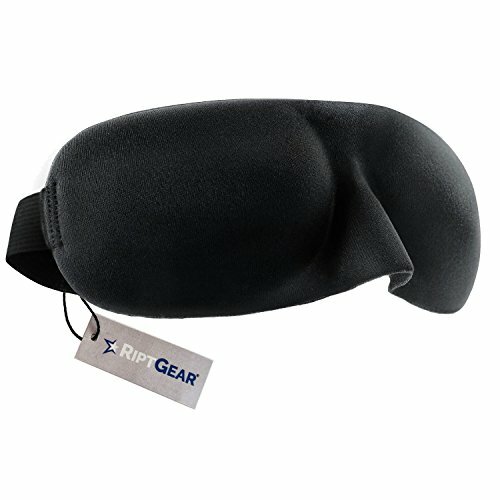 What to Avoid in a Sleep Mask? When it comes to sleep masks, there are also certain things that you should try and avoid at all costs. Firstly, you want to avoid thin masks. Irrespective of what they may advertise, the thinner the mask, the less capable they are of blocking light. As a result, you should try and avoid those masks that use a single layer of material. Secondly, avoid those masks that use firm pieces within their construction. These firm pieces can irritate the skin of the face, making it extremely uncomfortable. As a result, they can severely inhibit your ability to fall asleep, and increase your likelihood of waking up during the night. And finally, you also want to make sure that your mask does not use poor quality materials. Poor quality materials derived from latex tend to breathe poorly and irritate the skin, which can ultimately impair sleep. Taking all of this into consideration, if you see a mask that meet any of these criteria, you should run for the hills. Given the huge impact that sleep masks can have on your sleep quality, we wanted to give you some great options that you can begin to use immediately. Within this, we have found the best masks to suit literally any circumstance. 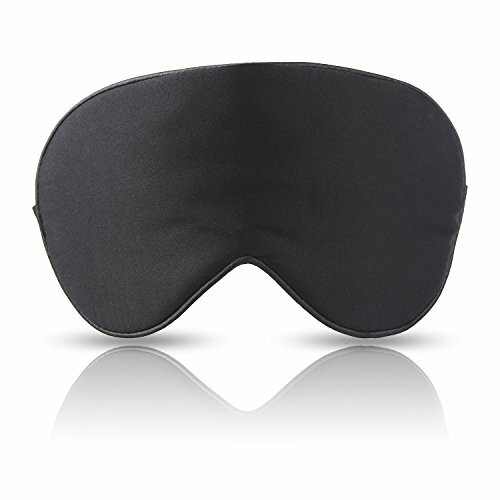 Our favourite sleep mask for overall comfort and effectiveness is this great option by sleep master. Using high-quality materials that also breathe extremely well, this is the perfect option for those looking to boost sleep quality in a comfortable manner. Furthermore, this great product is completely adjustable and hypoallergenic, meaning that it will fit any face and suit any circumstance! When it comes to comfort, its pretty hard to look past this great option by Mavogel. Designed using 100% pure cotton, this thing is absurdly comfortable. Combine that with absolutely exceptional light blocking ability, and you have a recipe for success. With an adjustable head strap, this particular mask will fit any face. Moreover, as it is completely hand made using the finest quality materials, you can also be assured of its durability. 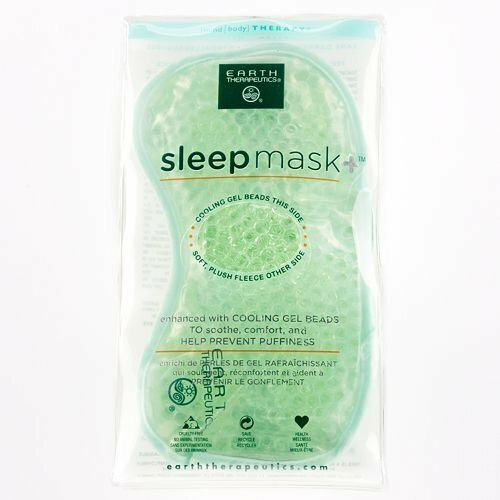 The final mask that slides into the best overall category is this great option by Bedtime bliss. This great mask implements a unique contoured design to increase comfort and fit, truly making it one of the most comfortable options on the market at the moment. This comfort has been combined with both durability and a dense outer layer that completely stops light from entering the eye. 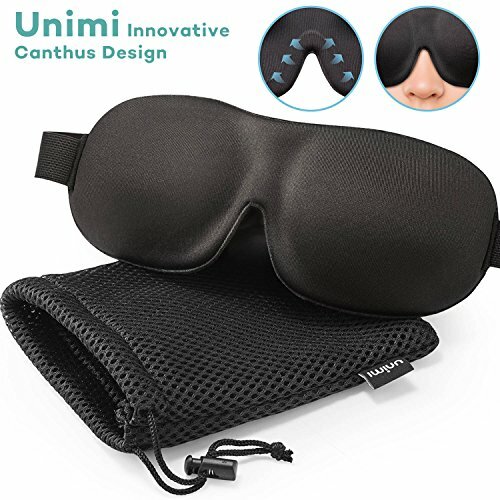 This is another excellent choice for literally anyone looking to invest in a sleep mask. This great option by magic bear is made using the highest quality silk. This not only means that it blocks out all light, but it is also extremely comfortable and relatively thin. With this in mind, it wont cause any discomfort when your lying on your side. As a result, it is the perfect option for side sleepers and people who move sleeping positions often throughout the night. 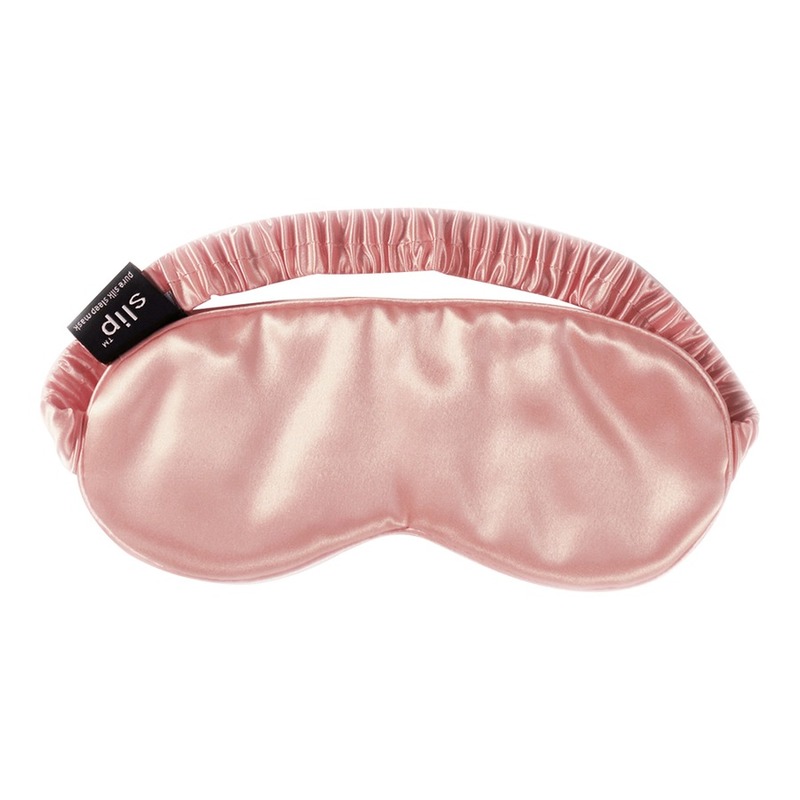 This great option by Unimi offers a point of difference to many other side sleeping eye masks as it offers a contoured design that completely covers the eyes. As such, it contains minimal amounts of fabric outside the eye socket, which means that it causes absolutely zero irritation to the side of the face during side sleep. This is a seriously comfortable option that uses thick material to block out all light. You really cannot go wrong! Our final side sleeping option comes from Ript Gear, which has used an interesting contoured design to comfortably accommodate for both the nose and the eyes. As a result, it sits extremal well on the face, and offers little resistance during movement. This is obviously another great choice for those who like to sleep on their side. Combining a high-quality silk eye mask with traditional aromatherapy practices is the perfect way to enhance sleep – and ASTURA have done it in an extremely effective manner. Using some of the best quality fabric on the planet, this is the perfect option for those who are after a sleep mask that does a little bit more than simply ‘block light’. Happy Wraps are renowned for the ability to consistently produce great quality sleep related products at extremely affordable price points – which is exactly why their lavender sleep mask is so damn popular. As an added bonus, this mask can be combined with either hot or cold therapy to provide a therapeutic effect to your enhanced sleep. As such, this is a great choice that is also extremely versatile. Talk about high quality. This great option by FOMI uses recent advancements in clay-based technology to offer an environmentally friendly lander scented sleep mask that is both extremely durable and works incredibly well. This great option also comes in a variety of different colours and patterns, making it suitable for any design taste! 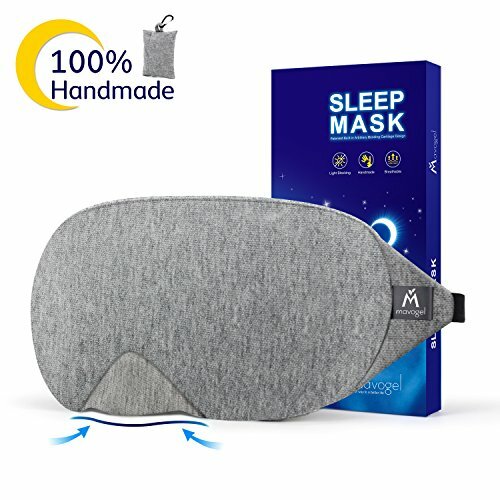 This sleep mask by Alaska Bear is one of the most popular on the market at the moment – and with over 9000 positive reviews on amazon, its not hard to fathom why. Using both high quality silk and a simple design, this is a comfortable and effective option that isn’t to flashy, and as a result, won’t break the bank. 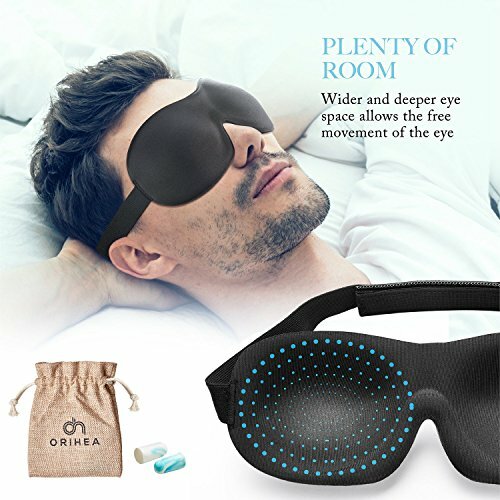 This 100% blackout eye mask from OriHea is another fantastic option. 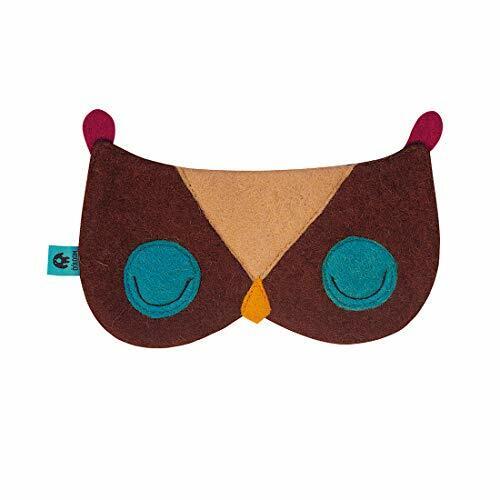 It uses a contoured design to increase room around the eyes, making it extremely comfortable. This has been combined with durable high-quality materials, in which it becomes the perfect choice no matter what your sleeping position. This option differs somewhat from the other two within this category, as it has opted for a slightly larger design. With this has come the addition of a unique ventilation mechanism to stop the eyes becoming dry, and the mask becoming stuffy. Due to its unique design, this is a great option for those who like to sleep on their back. Cooling sleep masks are the perfect way to enhance the sleep quality of individuals who suffer from migraines and headaches, or those who struggle to fall asleep during the warmer months – and this option by Earth Therapeutics is a great choice. Using great quality materials and a simple cooling gel, you really cannot go wrong with this fantastic light blocking option. Our next option by Plemo is a high-quality silk mask that also comes with a removal gel ice pack that can be inserted into the mask to induce a cooling effect. 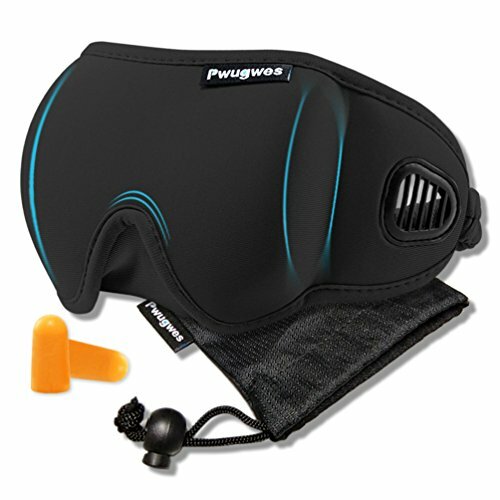 This means that it can also act as a regular eye mask in the cooler seasons, making it an extremely versatile option. Much like the Plemo masked mentioned above, this great option by Kimkoo also uses a removable gel pack to apply a cooling effect. Using dense silk, this is a great option that can block out all light both with and without the cooling pack inserted. I can think of so many people that would argue that you cannot have too much hello kitty in your life – and I can only assume that Earth Therapeutics would agree. This great option is made from the finest quality materials, blocks light incredibly well, is extremely comfortable, and looks great to boot. 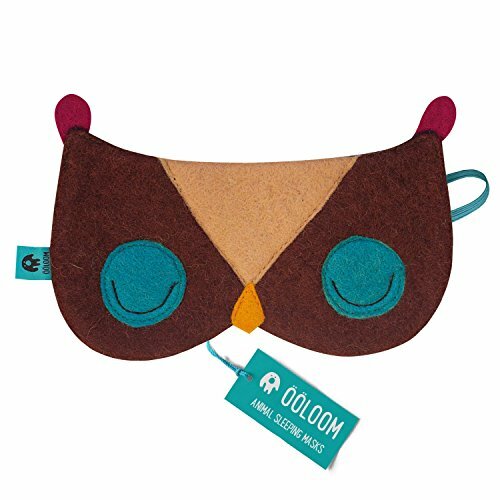 Perfect for both kids and adults alike, this cute owl themed sleep mask not only looks fantastic but is extremely effective as well. Using a high-quality flannel inner, this fantastic great mask is comfortable, warm, and blocks out all light – seriously, could you ask for anything more? 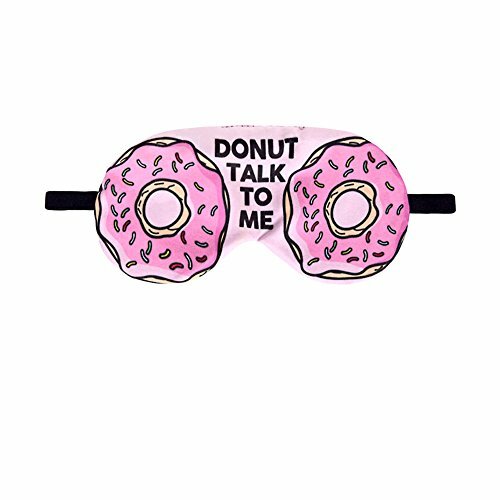 I really feel like when it comes to themed sleeping masks, the words ‘Donut talk to me says it all’. Donut themed? Check. Simpsons themed? Check? Punny as hell? Check? Oh, and I should also mention its comfortable, effective, and durable – but there just minor details right. Sephora have built a solid reputation for producing luxurious healthcare items – and as you can imagine, their sleep mask is no different. Using high quality silk, this is an incredibly comfortable option that also blocks out light extremely well. This truly is a great choice. 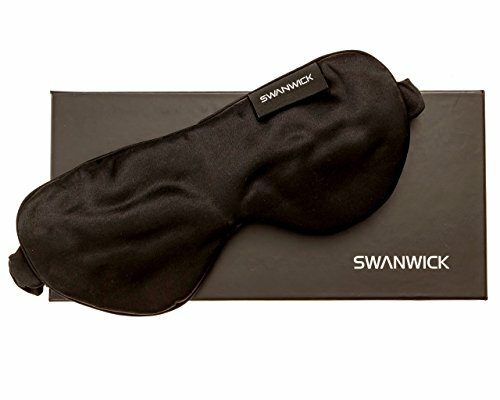 This oversized sleep mask by Swnawick is one of the most comfortable I have ever seen. Using nothing but pure silk in its design, it is of the highest quality. 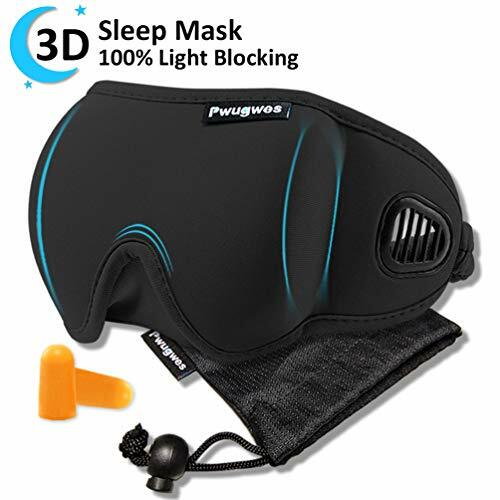 Additionally, it has been designed to fit extremely well and block out all light – making it one of the best luxury sleep masks on the planet. 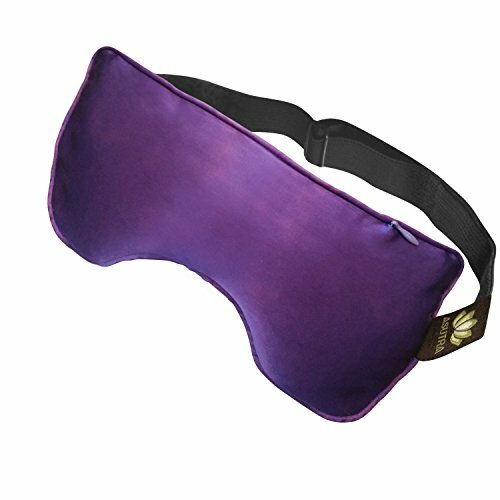 For those after a luxury sleep mask, its truly difficult to look past our final option by Masters of Mayfair. Again, designed using high quality materials while implementing an incredibly comfortable design, this is ensured to enhance sleep quality in a big way. This is perfect for both males and females alike, and has been extremely well received by the health community with many people applauding its effectiveness. Sleep is arguably the most health positive thing that you can do for your body – which is why ensuring that you get enough high-quality sleep is integral to daily health and function. 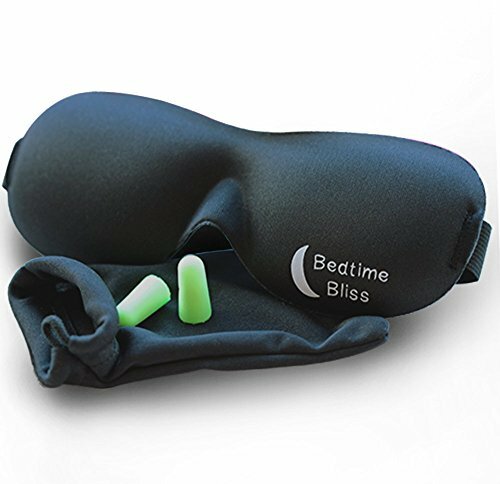 Sleep masks offer a great option for those looking to easily enhance their sleep quickly and effectively. Designed to stop light entering the eyes and then stimulating the brain, these masks have demonstrated their ability to increase sleep quality and duration time and time again. They are a seriously fantastic option. As always, if you have had any experiences using sleep masks then we would love to hear about it – so drop us a comment and we will get back to you ASAP!